I have been experimenting with produce that I don’t normally cook with, and one of those is okra. If you like okra, you will love this recipe- it is super easy and can easily be made gluten free and/or vegan by just substituting a few ingredients! If you don’t like okra, this recipe is still worth a shot- the fried nature takes away from the normally strange texture of the okra, and the aioli complements it wonderfully. 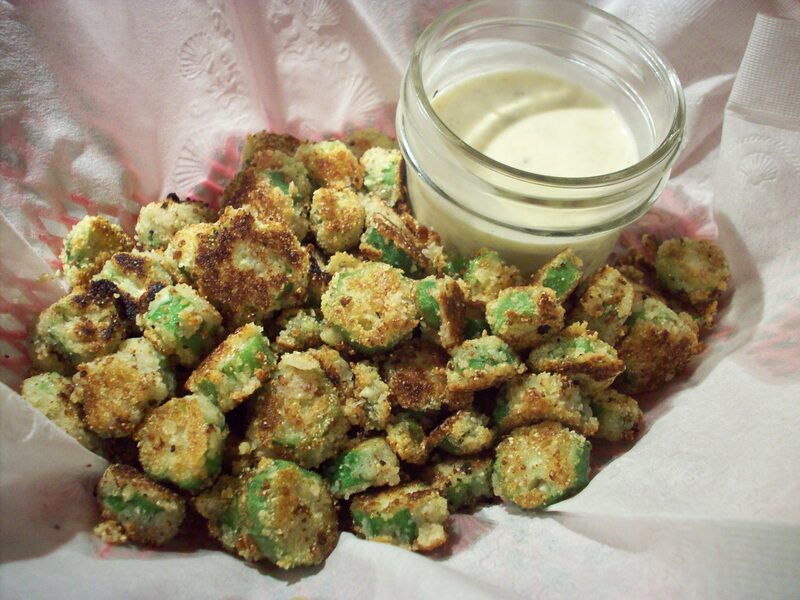 If you really wanted to, you could probably bread the okra and then bake them instead of frying them to make this a more healthy appetizer or snack. Slice okras to your desired thickness. Mix buttermilk powder with milk. In a separate bowl, mix together the almond flour/meal, salt and pepper. Throw all of the okra slices into the milk, and then toss in almond mixture. Next, heat oil in a frying pan. When the oil is hot, add the okra (in batches if needed). Fry until golden brown and crispy. Scoop out of the oil and let cool on some paper towels to drain out any excess oil. For the aioli, mix together all ingredients and refrigerate until needed. This is best done in advance to allow the flavors to blend together. What types of produce or ingredients would you like to experiment with?